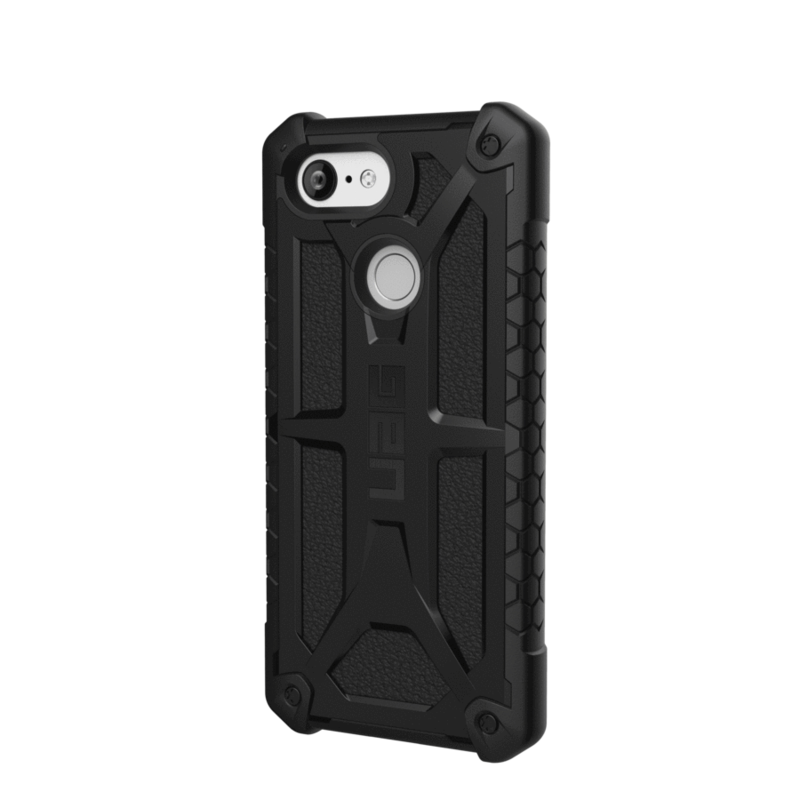 Another UAG phone case review from us. We’ve reviewed these cases previously for other phones. 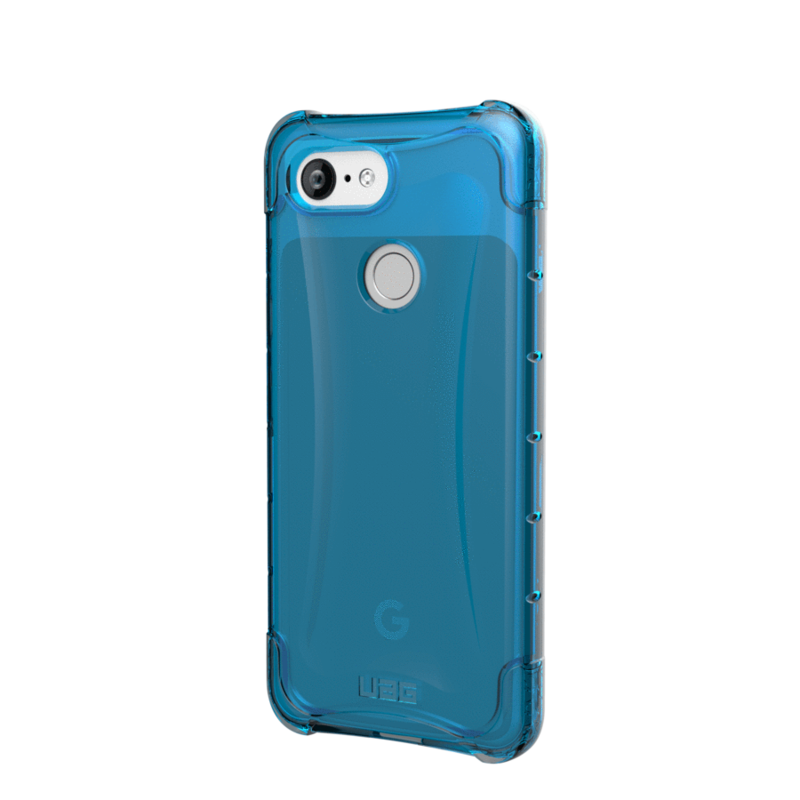 With the new Google Pixel 3 becoming popular, we were happy to receive the Plyo and Monarch cases to review for this phone. This case is very pleasing to me because of the color. It is also available in Ice- which is nice if you like the clear look. This one reminds me of the blueness of some lakes we saw at Mount Rainier, but in jello form. The design is not too bulky, but not flimsy, either. The corners are air soft cushions, with shock absorbing bumpers. It’s still light as a feather, and you can charge your phone wirelessly and use Google Pay. It has the lip to cover the front edges in case you set your phone done. For $39.95, you get an amazing case- drop tested to the MIL STD 810G-516.6. This case offers 5 layers of protection, and looks like it would be fun to throw around a bit. Actually, I wouldn’t advocate throwing it around on purpose, but it’s a very sturdy phone case. Even though it’s five layers, you can still wirelessly charge, use Google Pay, and all the stuff that the slimmer cases offer. The leather on the back under the alloy metal is top grain. The case has the honeycomb siding that reminds me of mountain bike tires. It’s great to grip, though. While the Plyo meets Military drop standards, this one meets TWO times the amount. There’s also the option of purchasing it with the alloy metal in red. Black and red is a great color combo! This case can be yours for $59.95. Thanks to UAG for sending us these free cases to review. Our analysis remains unbiased and fair, and we are not sponsored by UAG in any way.